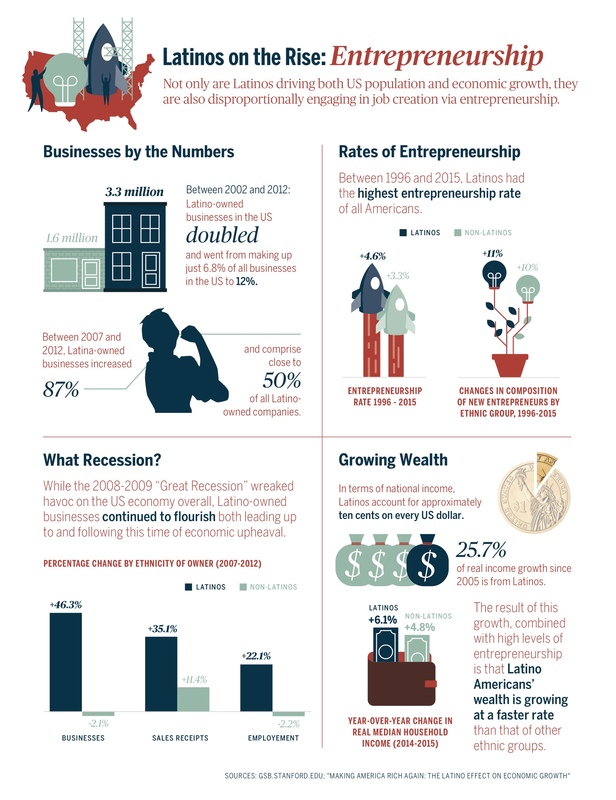 View the rotating infographics about the Economy, Education, and Entrepreneurship. 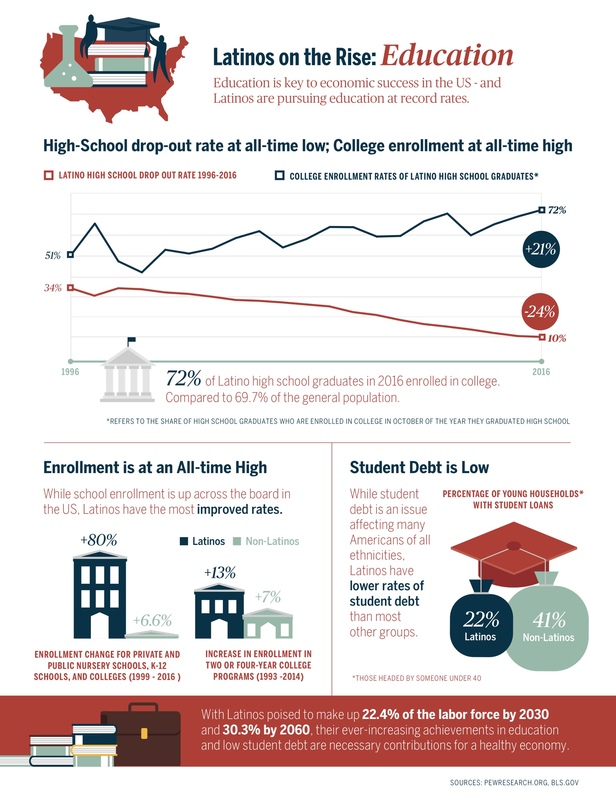 Thank you for providing this insightful and encouraging information in such a striking and resonant visualization style. 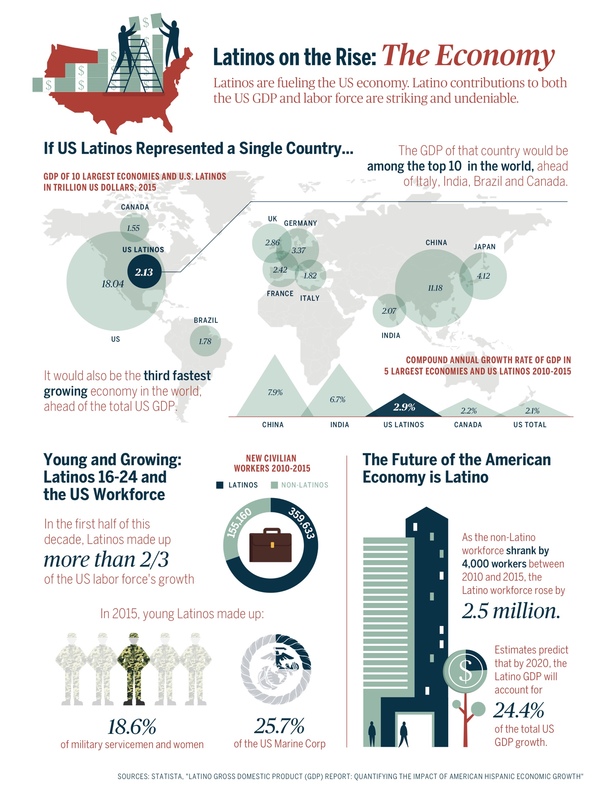 I appreciate the narrative an direction of growing Latino influence in economic realms and I anticipate a growing and more pivotal part in our local and national political leadership will correspond with the awakening economic giant of Latinos in the U.S.